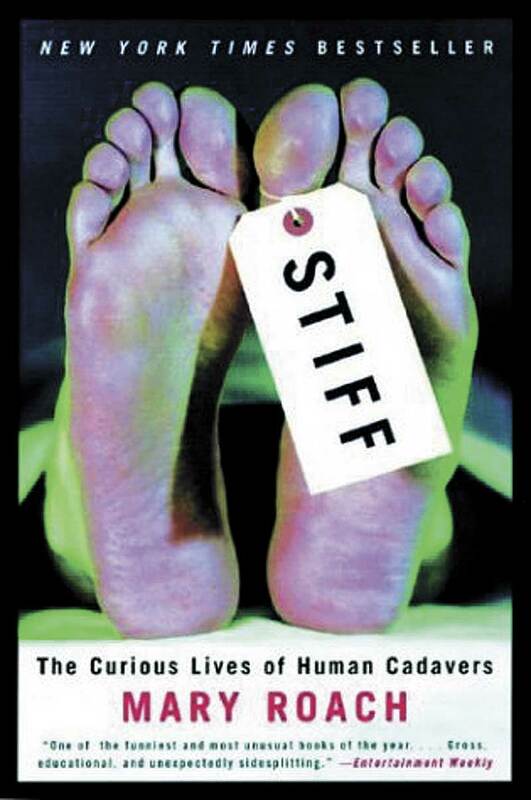 Stiff: The Curious Lives of Human Cadavers is one of the nonfiction options on our summer reading list. Since I desperately need more nonfiction books in my stable of recommendable books, I checked it out. While I am not sure it is appropriate for the middle school students I teach, I will definitely be recommending it to high schoolers and adults who are not squeamish. Mary Roach into what happens to bodies after death in every possible way. She writes about donating bodies to science, being used as a test dummy, how cremation works and where mortuary science is headed, among dozens of other things. This is a sticky book, one that I have been thinking about a lot since I started reading. On a flight to Medellin, I remembered an interview from the novel which states that it is safest to have a window seat near an exit row. Guess where I sat? When I get in a packed taxi, I take heed Roach's suggestion that the middle seat in the back is safest. Like Malcolm Gladwell's books, Stiff is packed with information to which I will continue to refer back. Why won't I be recommending it to my kids? It's pretty gruesome. Throughout history, cadavers have not been very well treated and Roach doesn't shy away from touchy subjects. I think that it would cause nightmares for some students, especially those who have lost a loved one. Still, I have a few students that I will track down in about four years and say, "Check this book out. You'll love it."